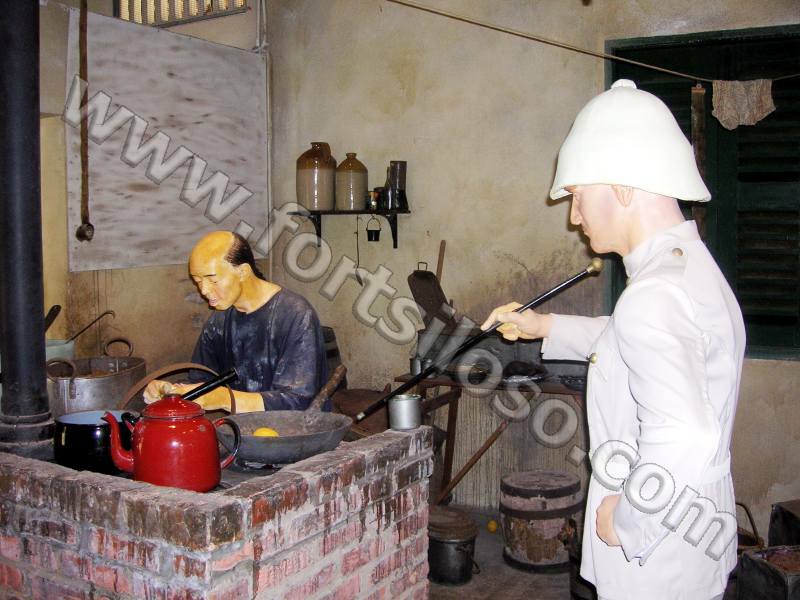 This display, representing the 1880s shows the Orderly Sergeant carrying out an important part of his daily duties in the cookhouse. 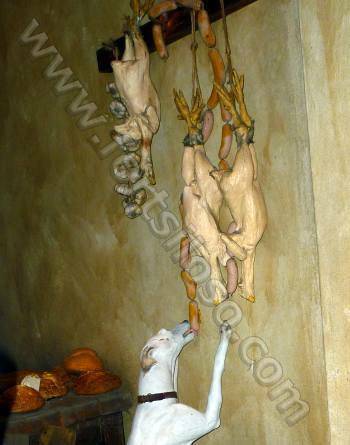 The cookhouse is very crude by modern standards, and somewhat unhygienic, but not unrepresentative of those days. It was then, and probably still is, a brave soldier who responds to the Serjeant’s call of, “Any complaints”, when the men are eating. 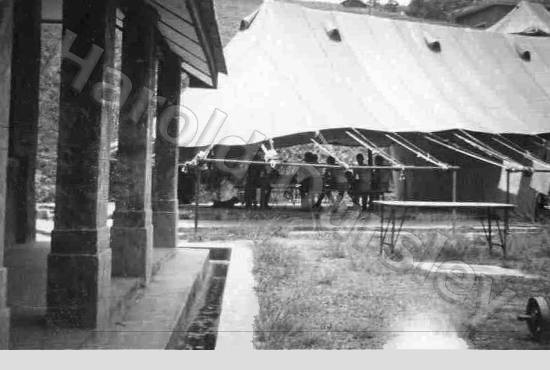 Above: The photograph from Harold Dursley shows a large tent being used for dining at Fort Siloso in the late 1940s. Harold says, “The cookhouse was up a very long steep flight of steps it was manned by two Chinese cooks who would rush down with our meals as they saw us walk from the billet to the tent”. The food was very good, and the service second to none. The tent is where there are two 7 Inch RML Guns on display today. The building on the left was barrack accommodation, and currently has toilets and office accommodation.